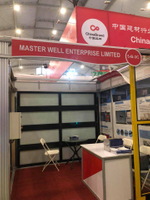 You are here: Home » News » Product News » What are the advantages and disadvantages of the material of aluminium alloy glass garage door? 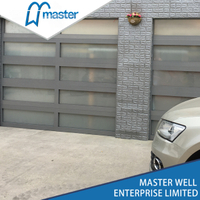 The choice of garage door is more and more, different material, different style, different open means. When the time comes to start building or redesigning your garage, you may find yourself feeling overwhelmed by all the options. Deciding what will be the best garage materials may be challenging, especially perhaps the most important piece of the building: the garage door. 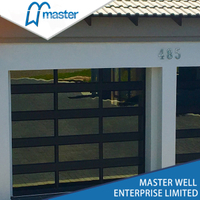 Garage doors are available in several different types of materials, some of which are more well-known than others. There are pros and cons to each material depending on what you want the overall purpose of your garage to be. Pros – An aluminum frame supports translucent glass panels. 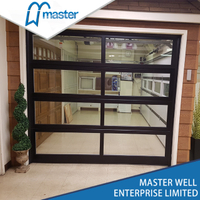 The aluminum frame it’s extremely durable, and this kind of doors are more dent-resistant that steel. Due to glass’ chemical composition, these doors will never rust or corrode… making them the perfect doors for coastal homes. Besides, glass doors need almost zero maintenance. 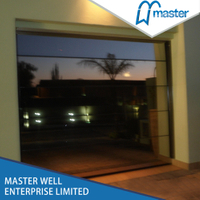 Cons – If you use the garage as an extra living space, opt for frosted glass, which can be a great choice for privacy. Pros – Aluminum garage doors are good for budget-conscious shoppers, because they share many of the advantages of a steel door with a lower price. This material has long-lasting finishes and is similar to steel, and it will never rust even if submerge your garage door in saltwater. Cons–Aluminum is twice as likely to dent as steel, and it requires more maintenance. Additionally, a high-quality aluminum door can be quite expensive. Pros – The material of choice for today’s garage doors. Affordable, durable, almost zero maintenance. 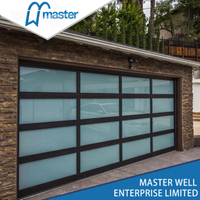 A top-quality steel garage door – made from 24-gauge steel – will easily last for at least ten years, and the manufacturer will give you an appropriate warranty. 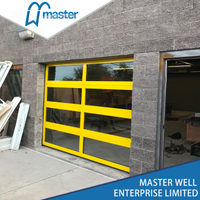 Also, there’s a wide array of designs to choose from, including steel doors painted to look like legitimate wooden doors.These doors are reasonably priced, stable, and are available in multiple styles with or without insulation. 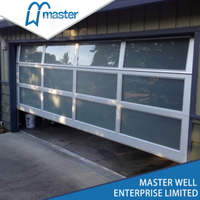 Cons – A steel garage door can be dented easily and is subject to corrosion. Low-quality steel is weak against dents, and low-end garage doors will rust over time. Moreover, steel isn’t a very good insulator, and you’ll need to install insulation (or buy an insulated steel door). As you just read, every different garage door material offers you several benefits (and disadvantages), depending on your specific conditions. Before installing a new garage door… or replacing your old garage door… you’ve got to talk to a garage door specialist. 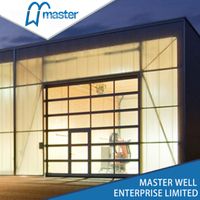 Visit Master Well online today to learn more about garage door materials. Reach out to our specialized team of garage experts to discover what styles we recommend and how we install quality garage doors for your home.